Another date for the diary! 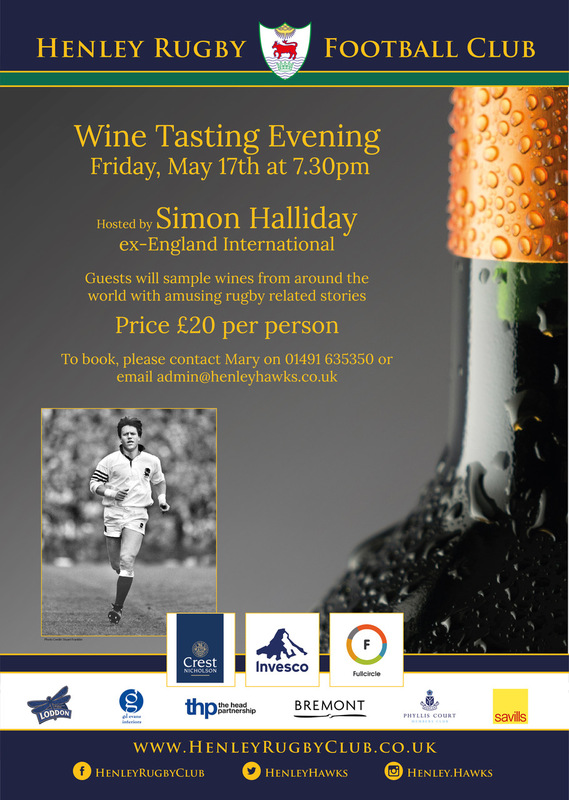 On Friday, May 17th, the Club will be holding a Wine Tasting Evening which is hosted by ex-England International, Simon Halliday. Guests will sample a fantastic selection of wines from around the world , each with amusing rugby related stories attached to them. Tickets are priced at £20. To book, please contact Mary on 01491 635350 or email admin@henleyhawks.co.uk. It promises to be a great night!